Clawton Pre-school aims to provide a safe, secure, caring and fun learning environment for your child enabling him/her to be ready for school and have a great foundation for later life. We occupy a large community room with fenced off outdoor area and ‘Children’s Café’ which is purpose built on the school premises and have the use of the sports hall, field and playground within the grounds of Clawton Primary School. We welcome children from any locality and are not bound by catchment areas. We provide a rich framework based on the EYFS and all activities ensure your child's learning covers all areas of the Early Years Foundation Stage (EYFS). 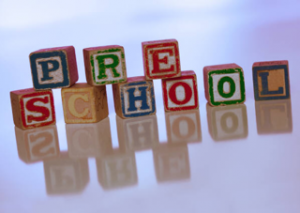 Clawton Pre-School welcomes children from the term they turn 2yrs and the term after the child’s 3rd birthday; they are entitled to 15 (possibly 30) free funded hours a week. If you use all of your funded hours at Clawton Pre-school we can offer a reduced rate. please see our Charging Policy for full details. We have a fantastic Parent and Toddler Group which runs on a Friday from 9.30am – 11.30am and welcomes children and their parents from birth onwards, and it is a great group of parents and they have full use of our facilities and surroundings. We welcome children from the term they turn 2 years. Once a registration has been completed, and before your child starts, you and your child are welcome to come along and join us for a few hours as a ‘Taster Session’. You know your child better than anyone and this is why you and your child are asked to complete our "This Is Me" sheet, to enable the staff to incorporate suggestions, abilities, preferences and air any worries that you or your child may have. We will also have a ‘Home Visits’ for those very new to us in order to reassure your child that we work in a partnership and gain trust. We operate a Key Person system which means your child will be assigned a member of staff that will be responsible for their learning, development, safety and well-being. All of our policies and procedures, including holidays, sickness and safeguarding etc. are on this website for you to download. Session planning is done on a weekly basis and incorporates your child’s interests and suggestions and gives your child a sense of belonging. The weekly plan is always on view for parents to see. long with the removal of any potential problems etc. We start our day at 9am, with a calm story sharing start to the day. We promote self-registration and independence from the very beginning. We have a mixture of ‘adult led’ and child centred activities, based on themes and the EYFS areas of learning and the child’s ‘Next Steps”. 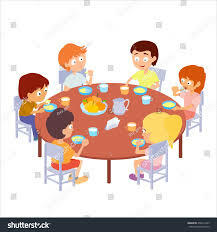 Children have a ‘rolling snack time’ and the child will be involved in setting the table and serving our healthy food and drink to the whole group. We offer a school meal every day. Please order and pay at the school office. We have registered with easy fundraising to raise money for preschool and toddlers. All you need to do is register with easy fundraising, select Clawton Pre-school and Toddler Group as your cause. Choose your selected shop through the easy fundraising website and shop as you normally would. We then get a donation costing you no extra!